We’re now recruiting for Supporter Groups and Supporter Group Leaders! Getting involved in a YHA Supporter Group is a great way of meeting like-minded people, developing new skills and most importantly having fun! Supporter Groups comprise of dedicated local volunteers who support a hostel throughout a yearly program of events. These could include gardening, minor maintenance and community and fundraising events. This is a flexible volunteering opportunity where you choose which events or tasks you would like to support. We can offer travel expenses of up to £15 per day and you should be within easy reach of the Supporter Group you would like to get involved with. A link to each hostel is available in the list below. North West- YHA Patterdale, Penrith, Cumbria. North East- YHA Whitby, North Yorkshire. North Wales- YHA Snowdon Bryn Gwynant, YHA Snowdon Ranger, YHA Snowdon Pen y Pass, YHA Snowdon Llanberis & YHA Idwal. For further details about this groups events please click here. East Midlands (Derbyshire) – YHA Ravenstor, YHA Hathersage and YHA Castleton Losehill Hall. South West- YHA Street, Somerset. To join a group please complete our online application form. Please let us know which group you would like to join in your application. You can find further information in our guide Introducing Supporter Groups. If there is no Supporter Group near to you why not find out about Local Volunteering on our Local Volunteering webpage? We are looking for enthusiastic and engaging people to become Supporter Group Leaders. Leaders work closely with Hostel Managers to organise a programme of events to keep the hostel looking its very best and increase links with the local community. If you can get the best out of people this could be the role for you. The Leaders promote the group in the local community and encourage new volunteers to get involved. They also coordinate attendance and support volunteers during the events. This is a rewarding role for an organised person who enjoys meeting new people and networking in the local community. It’s essential that Leaders are computer literate, have access to the internet at home, and are comfortable using their own computer for volunteering. You will receive help with promoting their group including marketing materials and training in leading events. Currently, we are looking for Supporter Group Leaders at the following hostels. You can find our more by clicking on the guides. YHA Cambridge (CB1 2DN) Supporter Group Leader Cambridge guide. YHA Patterdale (Cumbria) Supporter Group Leader Patterdale guide. YHA Sheringham and Wells-next-the-Sea (Norfolk) Supporter Group Leader Sheringham & Wells guide. YHA Street (Somerset) Supporter Group Leader Street guide. YHA London Thameside (London SE16 5PR) Supporter Group Leader Thameside guide. YHA Whitby (North Yorkshire) Supporter Group Leader Whitby guide. If you have any questions please email the Volunteering Team or call 01629 592562. If you would like to apply to join a Supporter Group or become a Supporter Group Leader then please complete our online application form by clicking on the Apply Now button below. 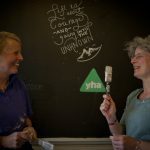 By applying to volunteer with YHA you are agreeing to YHA SPIRIT values and Code of Conduct. 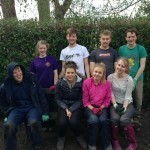 If you have any queries please contact the Volunteering Team on volunteers@yha.org.uk or call 01629 592562.